The lights are going up, the snow machines are coming out at shopping malls, and everyone is starting to feel a little merrier. It is, of course, the run-up to Christmas. At Allison Audiology we particularly love this time of year as we get to see the excitement as our patients realize they’ll be able to truly enjoy all the joyous sounds of Christmas this year now that they’ve got hearing aids in place. 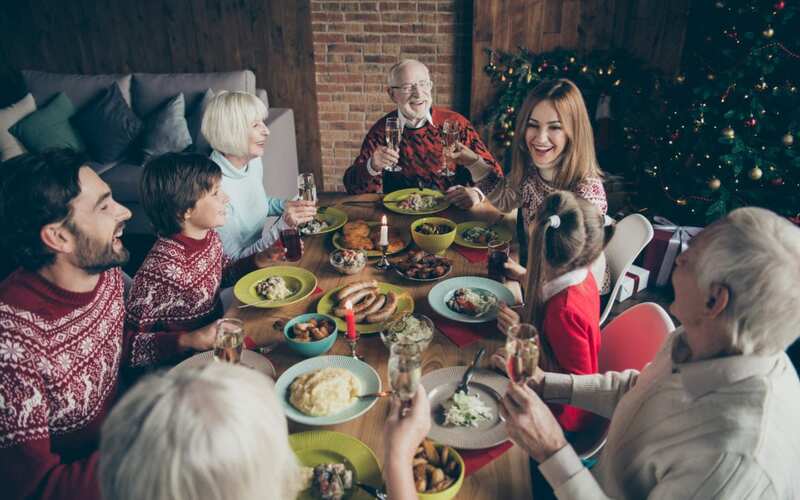 So let’s get the festive cheer going by taking a look at some of those wonderful sounds of Christmas that hearing aids will bring to life in all their richness. With Christmas comes shopping, sometimes frantic, sometimes stressful but those Christmas jingles can help make it a more merry experience. Whether you like it old school with a bit of Andy Williams’ It’s The Most Wonderful Time Of Year or if you like it modern with Justin Bieber’s Mistletoe, they’re always guaranteed to raise a festive smile. As the big day approaches, carolers will be out in force. The ding of doorbell starts it off and before you know it you’re listening to the ethereal chorus of Silent Night from a smiling, festively dressed choral group. The excitement of Christmas goes into overdrive on Christmas morning especially if you’ve got the squeals of kids or grandkids around. But let’s face it, even the grown-ups can’t help ripping off the wrapping paper to get to their gifts. Whether your family is big on ham, turkey or roast beef for your Christmas feast, those first few mouth-watering bites always bring out satisfied oohs and ahs. By the time everyone is through their mains with all the trimmings but of course, with room to spare for pie, there’ll be groans of contentment too. Whether it is a family member recalling a funny family anecdote, the pure joy of the kids running around and playing with their new toys, or the sight of grandpa in that silly Christmas hat, that sound of laughter is one of the precious parts of the Christmas experience. Enjoy all of this year’s Yuletide sounds and fill yourself with festive cheer by making sure your hearing is in good health with a hearing evaluation at Allison Audiology; click here to book your appointment now. If we discover you’re in need of hearing aids, we can get you kitted out with ones that work for you and your lifestyle in time for Christmas.